The Young African Leaders' Initiative (YALI) is a signature effort to invest in the next generation of African leaders. The U.S. Department of State supports young African leaders as they spur growth and prosperity, strengthen democratic governance, and enhance peace and security. 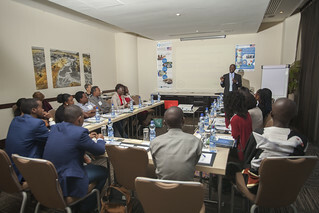 The YALI Connect Camps are funded by a grant from the Bureau of Educational & Cultural Affairs and are administered by the Institute for International Journalism at Ohio University.